Vegan is easy, but sugar is impossible! Hi Sassy. I love animals and have been mostly vegetarian (sometimes vegan) for over half my life. I have currently gone back to being vegan again and I'm feeling fantastic about it. It's effortless and I love how I feel about myself for doing my part to support the welfare of animals. However, I am struggling with a few things. One is that I am horribly allergic to soy which limits the food available to me quite a bit, and the other is that I am completely addicted to sugar and carbs, and being vegan has sort of given me an excuse to indulge. I know most people who go from eating meat, dairy, etc. to being vegan lose weight, but that is not my experience - I have carb belly. Do you have any suggestions? Am I doing something wrong here? I care very much about my health (as well as animals) but find it really hard to wean myself off of excess (because obviously some is necessary) carbs and sugar, especially as a vegan. Any suggestions? Sassy Sez: Hi Phoenix! You are SO not alone in this (what I call) "malady" of overeating carbs and sugar. We have become a society addicted to sugar and we don't even realize it. To begin with, I recommend you remove ALL sugars from your diet -- yes, even the healthier sugars. 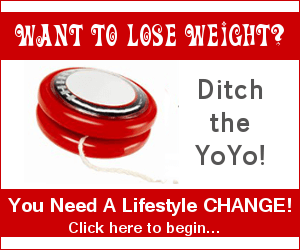 This helps you to stop any sugar addictions in its tracks and puts you in control once more. 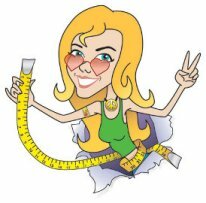 When taking my weight loss course, I guide you to making this transition as smooth as possible. Also, do you know the difference between complex carbs and simple carbs? Not all carbs are bad, but it is vital to choose those carbs which bring your blood sugar into a more balanced place so your cravings (and sometimes mindless "simple carb" munching) can stop. I just answered a similar question about carbs here. On another note, when we go vegan, we are avoiding animal products and all the huge amounts of fat that tend to go along for the ride. But we must be sure to add healthy, whole-food vegan fats in because we NEED healthy fats which help to maintain sugar balance. So I would wonder whether or not you are eating nuts, seeds, avocados, and other foods which contain the vegan fats we need to be healthy and control your sugar cravings? Weight loss and nutrition challenges rarely come with a one-size-fits-all solution. It is not always easy to figure out why someone has the particular challenge they do. 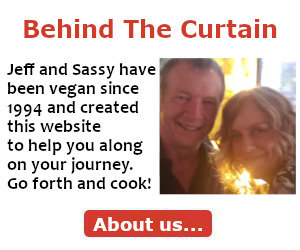 If you're looking for further assistance I recommend my vegan weight loss course As you make your way through the course, you will keep a journal which will help you to see some pretty glaringly obvious things about yourself and your diet. Then, it becomes easier to figure out some pretty specific solutions for you and you alone. As far as soy, there is absolutely no reason to eat soy as a vegan. There are just far too many other foods that are out there that you can turn to instead. 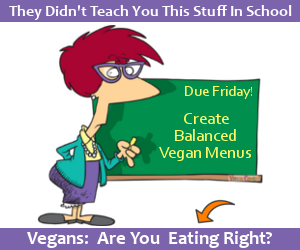 If you are having some challenges in figuring out how to put together a healthy vegan menu that supports your "no soy" needs, then Get Down With Sass! can help. 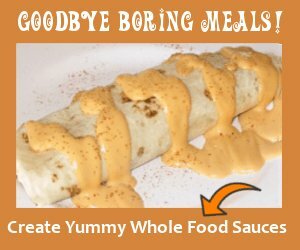 The course isn't a one-size-fits-all approach; instead I guide you to choosing the foods which will help to put together menus you love, with or without soy. "This course was exactly what I needed. I eat completely differently now. No cravings for snacks or unhealthy foods. Comments for Vegan is easy, but sugar is impossible! If you eat raw, there is no way that you will gain weight. 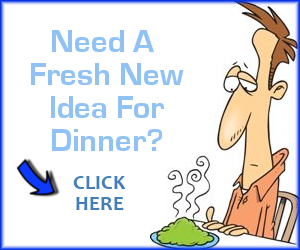 Because raw food has high nutritious values that you don't need to eat a lot to feel full. Plus, it's easily digested and absorbed that doesn't stay in the body that tends to cause weight gain and water retention. Give it a try and you'll find out that it is true. Also, if you can keep your body in an alkaline state, such as drinking lemon juice in the morning right after you juice it every day. If you let it sit for a while, it will be come acidic. It's only when you just cut it open, it is still a strong alkaline food. Also, detox your body will help to reduce weight. I have been vegan for a year now and have the same cravings. I just started including chia seed oil which has a lot of essential fats we need. I am going to try to eat more avocados too and try to balance by meals. ugh. I also have the same cravings. It used to be all the whites "white sugar, white flour, starches". Turning vegan from vegetarian, it was very easy to find vegan substitutes. Just because I'm vegan, doesn't mean I'm "healthy". I'm blessed to come from very hearty stock. I have great health but have struggled with my weight for as long as I can remember. I know I need to get all the sugar out of my diet and I try but it is oh-so-hard! I haven't been able to figure out how to make myself my #1 priority. Even though I know sugar is a slippery slope (like an alcoholic just having a quick shot), I keep "falling off the wagon". Here's to a new day and a clean slate. Regarding this discussion, I'm talking about removing any sugars that you add to your diet (such as when you take a teaspoon and add sugar to something -- even if it's a whole food sugar like date sugar). I am also talking about sugars that are in the foods you're buying. Look at the label. If it has sugar of any kind then push it to the back of your fridge and cupboards for a while and experiment with a sugar-free diet. You might be amazed at the amount of foods you're already eating that contain added sugars. I'm not talking about fruit. Fruit is magical and you should eat fruit. But I suggest you avoid fruit juice because if you remove that amazing fiber from the fruit to extract the juice you're left with more of a simple sugar that can spike your blood sugar levels. Should I limit to 2 fruit portions a day? Hi, Today I saw my Doctor for follow up with my blood work. I consider myself Vegan. Which I started about six month ago. I've always been skinny & today my weight was higher than ever. I weight close to when I carried my daughter. Forty three ago. My Doctor said that was a good weight for my height. I'm fine with that it's just around my belly & I now have what my husband calls love handles. My Doctor said my cholesterol is now fine with everything else. Just my intake of sugar. She said now I'm prediabetes. My husband has been diabete for a long time & I'm always after him for what his eating. I just don't know how to get more protein & less carbs. 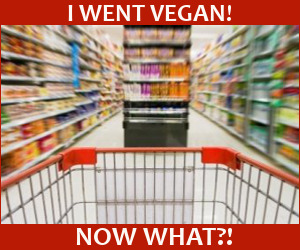 I want to continue being Vegan but don't want to add another health problem to my life this time in my life. Thank you! I feel like kicking myself today. I was so focused on avoiding dairy in my move to a plant based diet that I grabbed a few boxes of "So Delicious" dairy free frozen bars with the chocolate coating. Yes, they are indeed "so delicious", but when I read the label more closely after eating one, I saw they contain 15 grams of sugar! This is outrageous! It's like tiptoeing carefully into a garden to avoid poison ivy, then inadvertently stepping into poison oak. How could I not have checked the sugar grams at the market when I was so obsessed about checking cereal labels just minutes earlier? Well, tomorrow the rest of them go to my neighbors. They could care less about what's in their food as long as they like the way it tastes. I found to treat a sweet tooth, which I have dealt with, I ended up trying to get used to bitter. I cut carbs and lost weight, and now find I have issues with gluten and too many carbs a day results in a crash a depression at end of day. I am now trying to do all the above of restricting carbs, while also doing vegan diet for Lent (Orthodox Christian Lent goes mostly vegan, with vegan the easiest way to sort).